When a branch is broken off a tree, the tree will create new growth to cover over and heal the wound. The healing process is almost imperceptible taking a great deal of time. 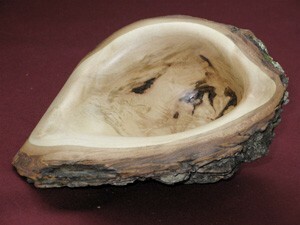 Where the broken branch has been ‘grown over’, the shape that is created is that of a bowl. When the ‘bump’ is cut off the tree, one can see where the old branch was growing. 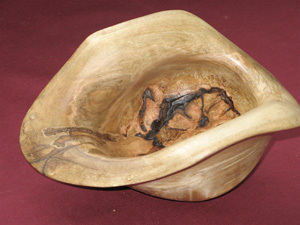 The natural shape of the bowl emerges with the good wood defining the sides of the bowl. The depth is guided by the direction of the old branch that is at some stage of decomposition. At some point the walls and the old branch merge creating a special point where the inner beauty of the tree is revealed in beautiful graining patterns. 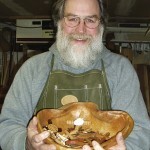 Bowls of Healing can be used in a variety of ways- each discovered through personal experience. 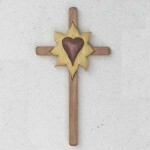 They can be a reminder of how the healing of the human spirit can take a long time. When held and gazing into the depth of the bowl, it can be a reminder that God’s healing grace is at that place in life where our personal ‘old branches’ and the new growth connect revealing the beauty of God’s hope. These bowls can be held and used as a focal point in one’s prayer life. 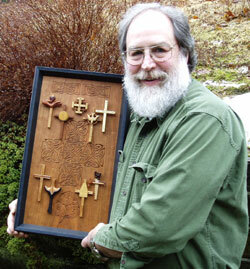 They can be a receptacle for special objects like pictures or written prayers. Liturgically, these bowls can be used to hold baptismal water OR the ashes used at Ash Wednesday services. 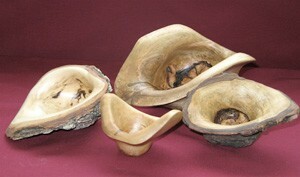 EVERY bowl is unique using the natural shape of the growth to determine its shape. 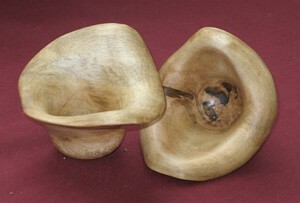 Each bowl is hand carved and sanded. 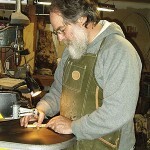 At least three coats of tongue oil are used to seal the bowl. 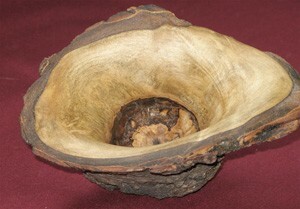 Some have the bark (left un-oiled) while other bowls have the bark stripped away. I use maple, oak and beech.